Checking better if there was something else in this build, we have discovered that this update addes a new bubble color that is currently (and already) used to verify the business autenticity in the chat. 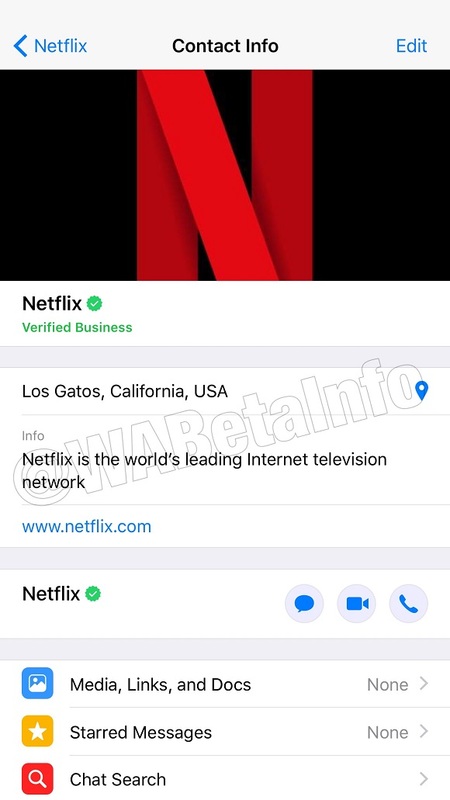 As you can see in this screenshot, when WhatsApp verifies a new business account, you will be notified in the chat, where a message in a bubble with a light green color will inform you about the verified status. 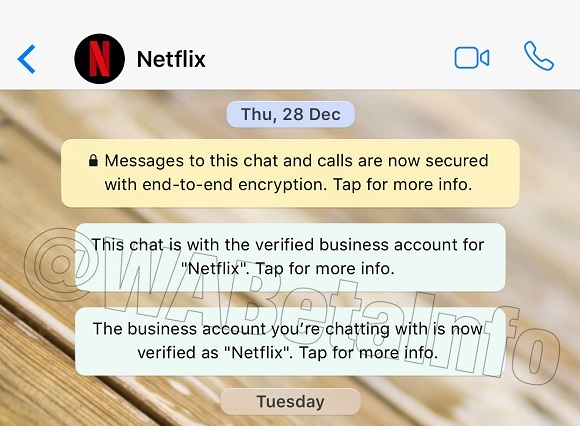 In the precedent versions, WhatsApp used yellow bubbles to inform the user about this change, but seen that yellow bubbles are reserved for security alerts, WhatsApp has decided to use a new color for these messages. When a business is verified, you may see more information in the Contact Info section, if provided from the Business. You can notice a green Verified Business label under the name of the business, that helps the user to understand that the contact is verified. In this case, Netflix provided info about the location and the website, that will be visible for you in this section. Let us know on Twitter if you like this change and join our Telegram channel for fast posts and news notifications. Next PostNext WhatsApp beta for Android 2.18.12: what’s new?